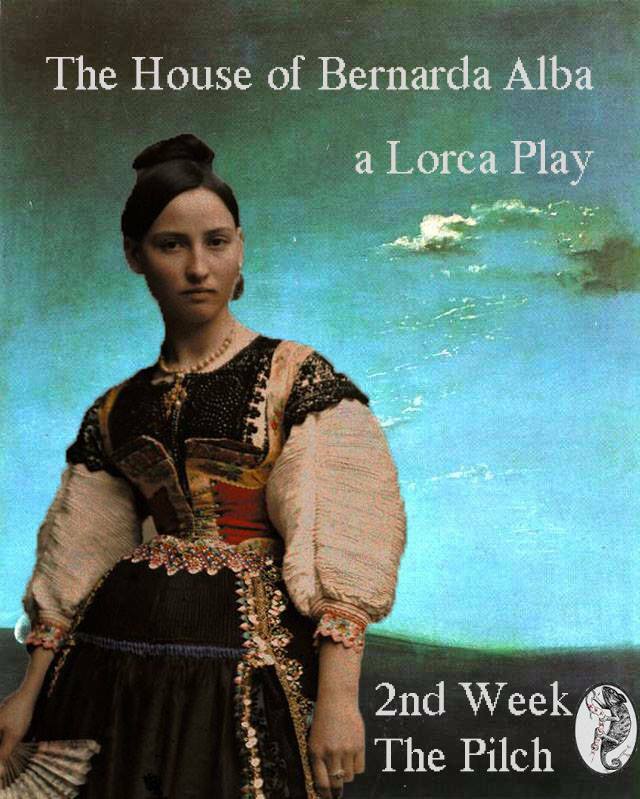 Translated from Lorca's archaic Spanish, The House of Bernarda Alba moves with a beautiful and vivid poetic lyricism. Bernarda rules ruthlessly over her five daughters, living for her family's reputation and violently enforcing virginity. Hers is an iron grip, and her daughters move cautiously within it. Their small rebellions, lustful fantasies and destructive acts of jealousy move the play along quietly and dangerously to its tragic conclusion. We see how patriarchal expectations turn woman against woman: men are totally absent but their existence presses on the play in the hot, silent evenings and sterile sphere of virginity. Female anger and female desire explode violently in the tiny room, wrapped prettily in layers of gauze and soft white lace. The purity of it all is stifling.